The Muela Premium Bowie features a stainless steel clip point blade with a satin finish and a plain edge. Its grooved handle scales provide added traction for a firm grip during use. 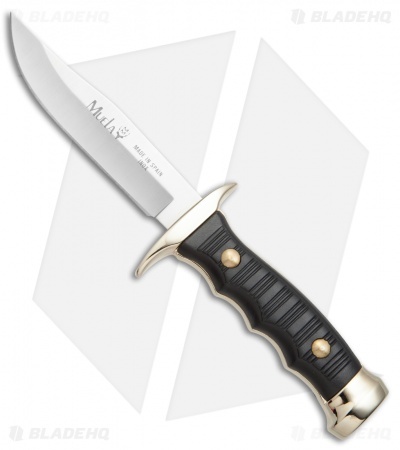 The Premium Bowie fixed blade makes a great collector's item, or everyday utility knife. 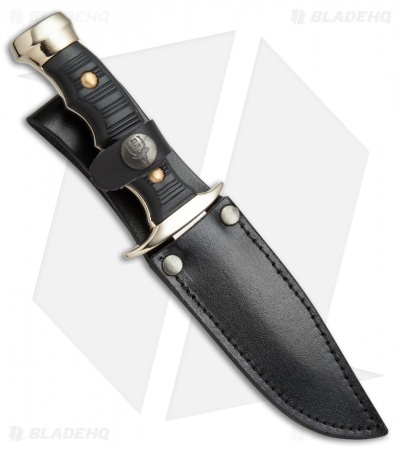 This model has a brass handle with black Kraton scales. Includes a black leather belt sheath for secure carry.